Indian smartphone maker Intex Technologies has expanded its Aqua series lineup with the new entrant Aqua Trend Lite. The smartphone boasts of what the company calls, the mega sound speaker, designed using high-grade 1.5 W Dynamic Type sound technology promising to deliver an optimal experience to its users with a louder, better and sharper sound output. It is priced at a budget-friendly, Rs 5690 and will come bundled with Intex's multiple in-house Value Added Services and special features. 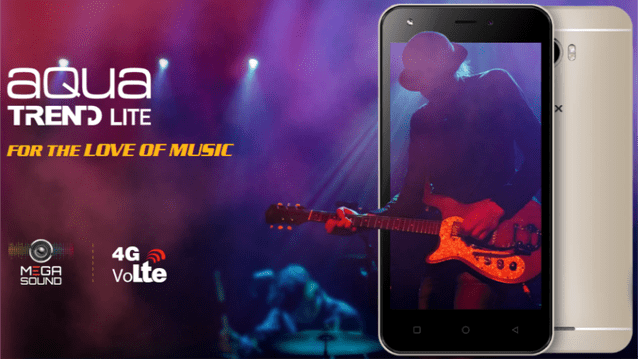 Under the hood, Intex's latest offering houses the Quad-core MediaTek MTK6737M SoC clocked at 1.25GHz, Mali T720 GPU coupled with 1 GB of RAM and 8 GB of internal storage. There is the microSD card slot for further storage expansion of up to 128GB. On the top, there is the 5.0-inch FWVGA (480×854 resolution) Twisted Nematic display for enjoying the digital contents. The device is powered by Google's Android Marshmallow 6.0 operating system and is fuelled by a 2600mAh Li-ion battery which promises up to 8 hours of talk time and a standby of up to 200 hours. Coming to the phone's optics, it sports a 5-megapixel rear camera with dual LED flashlight, autofocus, and HD video recording capabilities. On the front, there is the 2-megapixel camera to click selfies. Connectivity options include 4G LTE with VoLTE, dual-SIM support, Bluetooth, Wi-Fi, and micro USB port. Apart from the standard specifications, the Aqua Trend Lite is equipped with multiple in-house Value Added Services (VAS) and special features. There is Vitsoso, which enables the users to apply various artistic effects during the phone's camera usage. A unique left screen concept is bundled with, which allow users to access various multiple category contents and with just a swipe of the screen. Additional special features include MiFon 9-in-1 security suite to ensure the safety of the user's data and an AI-based Tap & Buy service which assists the users while shopping. 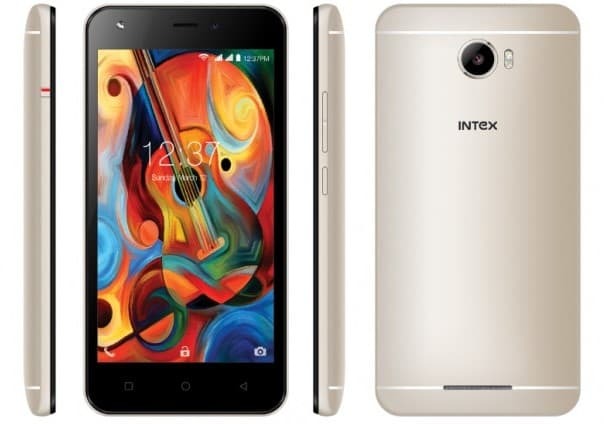 The smartphone will be available in the Champagne color variant through Intex's offline channels.